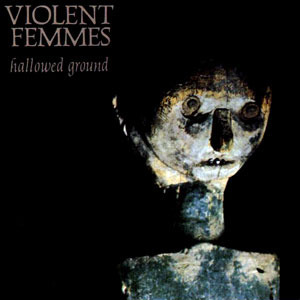 Hallowed Ground is the second album by the Violent Femmes, released in June 1984. Like the band's first album, the songs on Hallowed Ground were mostly written by singer/guitarist/lyricist Gordon Gano when he was in high school. "Country Death Song," for example, was based on a true story from an 1862 news article about a man who intentionally threw his daughter into a well and then hanged himself in his barn. It was written by Gano during his 10th grade study hall. The Christian-related lyrics on Hallowed Ground were thought by many to be sarcastic, but Gano is a devout Christian. The other two Femmes were atheists, and initially refused to perform those songs, but after their debut had been recorded, they relented and several of Gano's religion-themed songs were recorded for Hallowed Ground.